"How to encode my H.264 videos on PC or Mac by myself?" You might have the same question about your H.264 files. H.264 or MPEG-4 AVC is only the codec to compress video. They may be wrapped into different file container formats, including AVI, MOV, MP4, WMV, ASF, TS, M2TS, etc. H.264 is widely used in our daily video shooting and transfer, however, it's not as convenient as DVDs which can play on TV or any other playable device. Many people are looking for an easy and fast way to burn H.264 videos to DVD via their computer, no matter Windows or Mac. If you are one of these guys, then you are on the right page. This article lists the best H.264 converter for Windows and Mac to help you burn H.264 movies to DVD by yourself. H.264 stands for H.264/MPEG-4 Part 10 or AVC, which is a video compression standard commonly used for the recording, compression, and distribution of high definition video, including HDTV, Blu-ray and HD DVD. H.264 is able to provide good video quality with lower file size and at lower bit rates than other standards like MPEG-2, H.263, or MPEG-4 Part 2 (MP4). Both the Blu-ray Disc format and the HD DVD format include the H.264/AVC High Profile as one of mandatory video compression formats. However, HD DVD is now discontinued. If you have high definition video or Blu-ray video in MKV, TS, M2S, AVI or other formats, it's a good idea to burn H.264 to DVD so that you can play with a regular home DVD player, instead of expensive Blu-ray Disc player. Wondershare DVD Creator is the best H.264 converter to burn your H.264 videos to DVD easily on Windows and Mac. 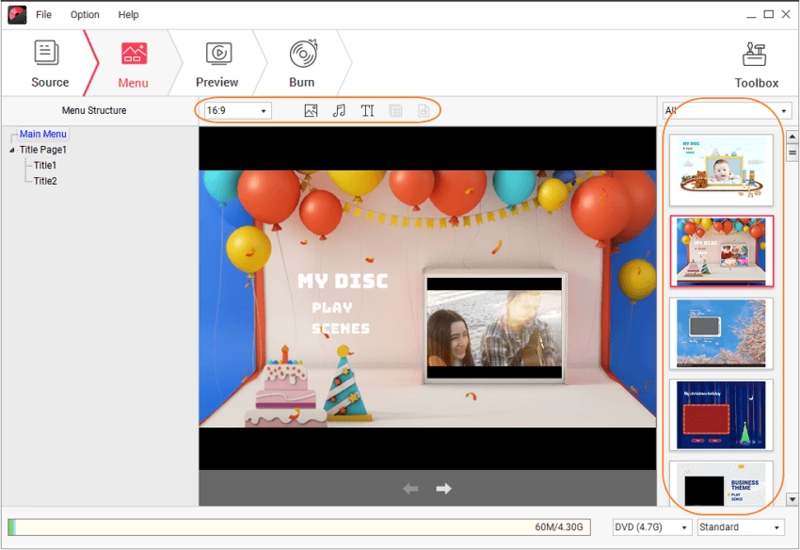 This all-in-one DVD burning tool allows you to edit videos with Crop/Trim/Watermark/Subtitle features before burning to your disc. You can also choose free DVD menu templates to make your DVD more attractive. Except for creating H.264 DVD, it has a range of functions related to DVD such as burning video/audio/image files to data disc, transferring ISO to DVD, editing videos, making photo slideshow, and others. The steps below will take Windows version as example. If you are a Mac user, just follow the similar steps to burn H.264 to DVD. 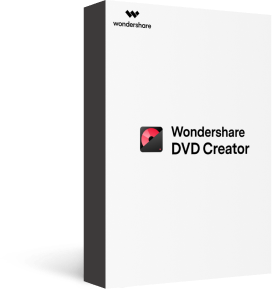 Download, install and launch Wondershare DVD Creator on your PC/Mac. Choose Create a DVD Video Disc option from the initial interface. Click the " + " icon to select and add H.264 videos you need to convert. You can also directly drag and drop the H.264 files to the program. 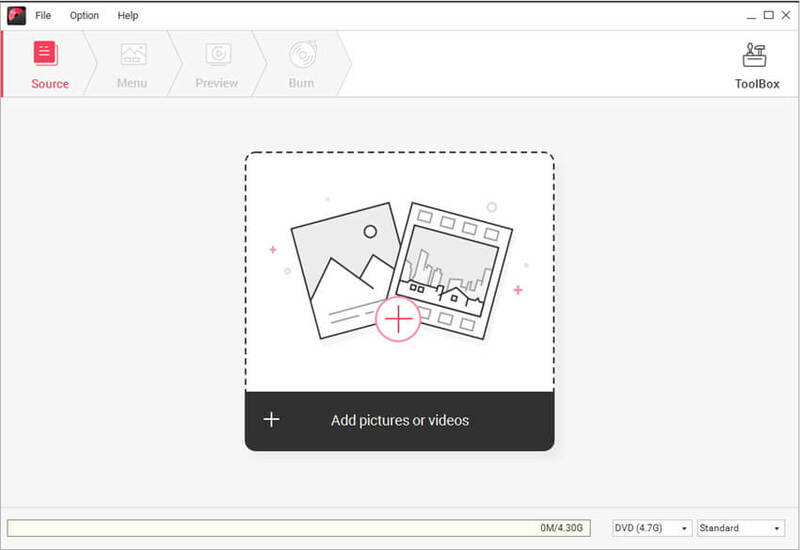 All imported files will be displayed as thumbnail on the left panel. 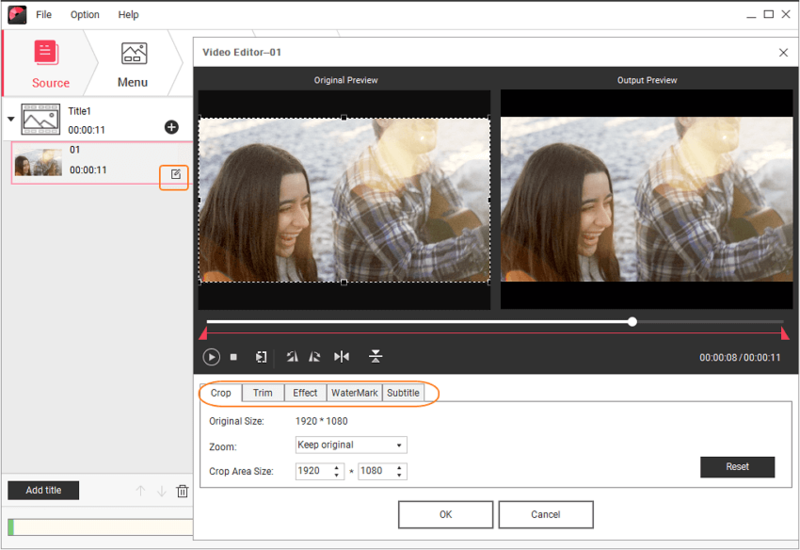 Click the pencil-like icon on the video thumbnail to open the Video Editor window, where allows you to crop, trim, rotate videos, apply effects, and more other operations to your H.264 videos. Click the Menu tab to choose a DVD menu template from 100+ free designs on the right panel. Choose No Menu option if you don't need any DVD menu design. You are allowed to customize the DVD menu further with background picture, music, text, chapters, and more. Click the icons upon the active window to open the customization window. Click the Preview tab to check your creation, feel free to go back and make changes if you're not so satisfied with anything. Next, move to the Burn tab and insert a blank disc in to your PC or Mac. Choose Burn to disc option and finish Burn Settings it asked, finally, hit the Burn button to burn H.264 videos to DVD within a few minutes. Your H.264 videos will be burned into DVD within a few minutes, and you can playback the converted DVD on TV or any other playable device. 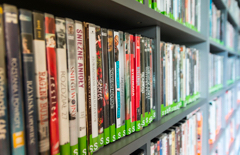 If you also want to know how to burn MPEG4 videos to DVD, just click to read more.